Edward L. Wallack specializes in creative methods of designing life insurance and employee benefit programs to help businesses and their key executives solve their unique problems. His areas of specialization encompass wealth accumulation and preservation planning, deferred compensation, and business continuity. Ed is an honors graduate of Colgate University and holds a law degree with honors from Suffolk University Law School. 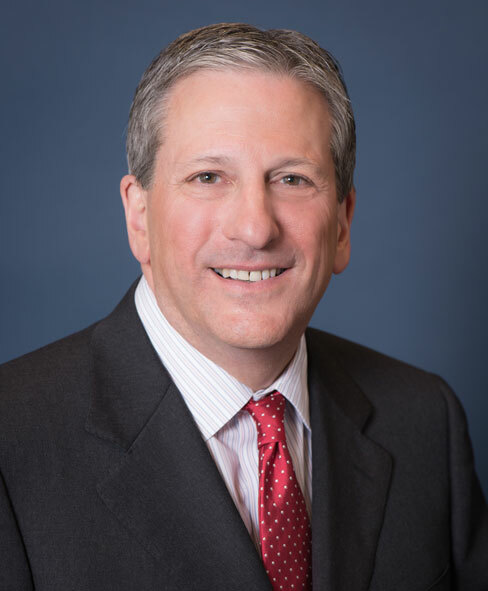 He joined Sapers & Wallack in 1982 after law school, familiarizing himself with the operations of the entire organization by working initially for each business unit (retirement plans, group benefits, executive benefits, life insurance) before transitioning into a sales role. Mentored by his father, Norman Wallack and by the current Chairman Bill Sapers, Ed ascended to become Principal and Treasurer of Sapers & Wallack, both positions he holds today. In addition to obtaining the designations of Chartered Life Underwriter (CLU®), Chartered Financial Consultant (ChFC®), Accredited Investment Fiduciary (AIF®) and Accredited Estate Planner (AEP®), he has also been awarded the CLTC-Certification in Long-Term Care designation and is a Massachusetts Licensed Insurance Adviser. Ed Wallack is a registered representative and an investment advisor representative.